Most of our animals are surrendered to us once the owners can no longer care for them. Our organization means new hope for these animals. Check out our friends below! 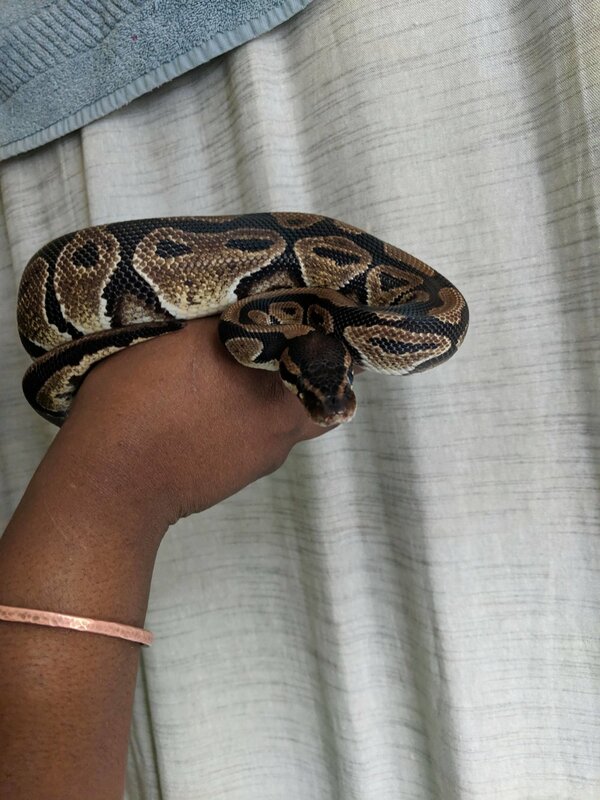 Linguine is a young ball python who’s ready to slither into your heart! Linguine, like a lot of our animals, was surrendered after his owner couldn’t provide for him anymore. 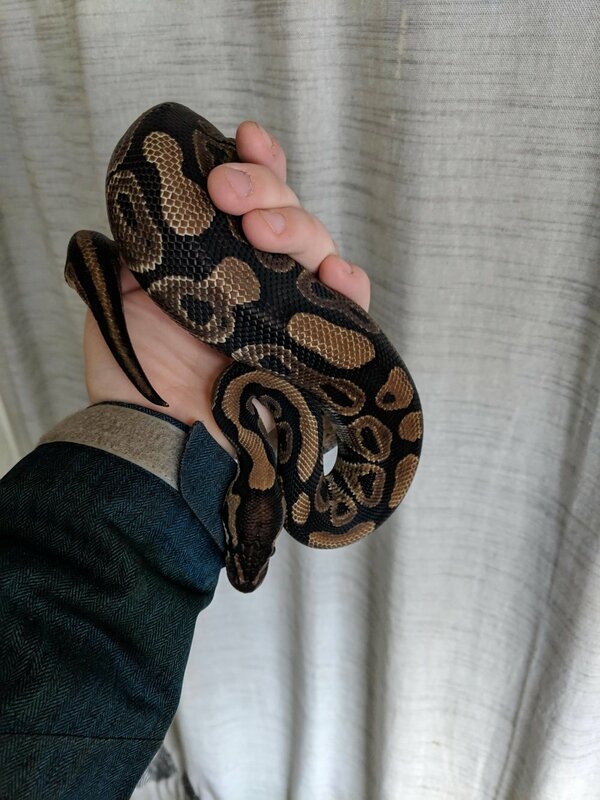 Linguine is eating f/t rats, but he’s not very picky! Is Linguine the pet to complete your family? If you are not experienced with this species, or need to brush up on your knowledge, please take a look our care sheet page. If you have any questions about Linguine, contact us here! 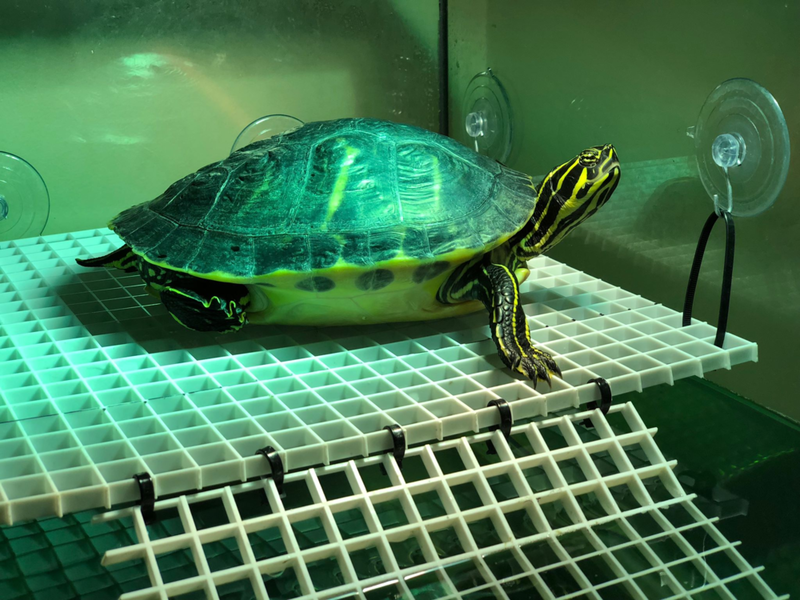 Faye is a gorgeous yellow-bellied slider who wants to be the centerpiece of your home! After some life-changing events, Faye’s owners couldn’t care for her anymore and reached out to us for help. None the worse for wear, Faye is ready to be your scale-y best friend! Faye is a huge fan of spinach, and will readily eat mealworms from your hand. At 10 years old and about a foot long, Faye is ready to spend the next 30 years with you! If you have any questions about Faye, contact us here! 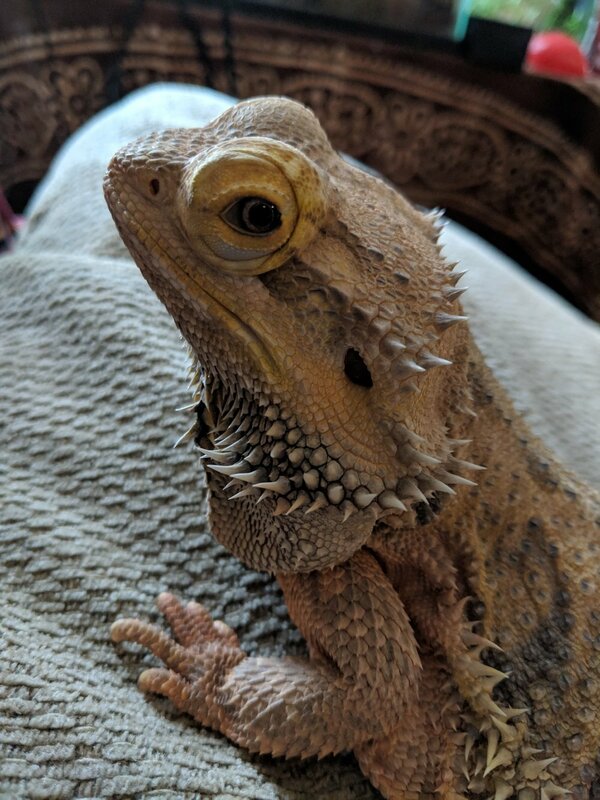 Naomi is a very sweet seven-year-old bearded dragon who was surrendered to us. She was in very good shape, albeit very overweight. She is losing weight and was given a clean bill of health from our veterinarian! She may be on the older side, but she wouldn’t let you know. Naomi is extremely patient and tolerant, even with children; she would do perfectly in a family home! Will Naomi be your new best friend? Naomi needs a little more time with her diet and exercise routine, but you can apply to adopt at any time! If you have any questions about Naomi, contact us here! If you would like to learn more about an animal ready for adoption, please complete the form below! Do you have experience with this species? If not, have you done adequate research to give this animal the best care possible? Do you know how long this animal lives for? Can you be prepared for that level of commitment? Thank you for your interest in adopting! We will be in touch.